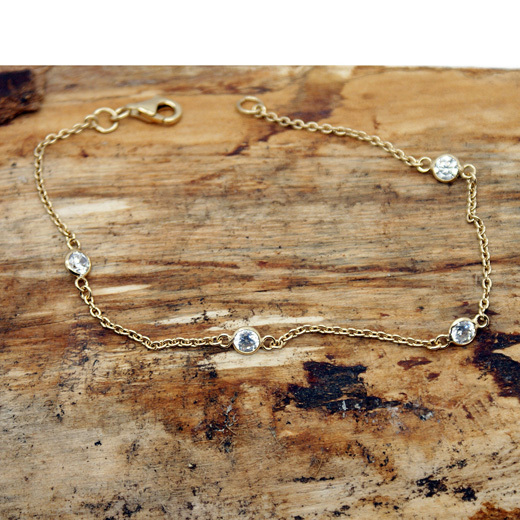 A beautiful "CZ by the Yard" bracelet from RP Designs. This well made necklace has a four white sparkling cubic zirconia jewels spaced along a 7.5 inch gold plated chain, with a lobster clasp fastening. 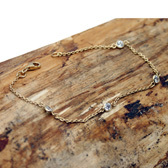 This beautiful necklace is in a similar style to that of the visionary designer Elsa Peretti's Diamonds by the Yard. We have this bracelet in sterling silver making it possible to layer it with others or to combine it with a yellow gold plate necklace in the same style and available in a varying lengths too. Our range of CZ by the Yard comes in 7.5 inch 15 inch and 18inch lengths. 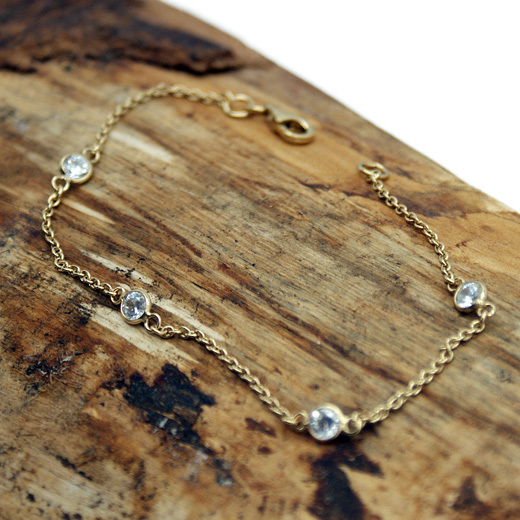 It is available in sterling silver and yellow gold plate.